According to Syrian Deputy foreign minister Faisal Mekdad, Damascus sees the presence of Turkish forces in Syria as an act of aggression. "We demand that the Turkish government withdraw its forces from Syrian territory and stop interfering in its internal affairs," Mekdad said, speaking to Sputnik Arabic on Monday. "The presence of Turkish forces in Syria is aggression and cannot be justified by any name or pretext," he added. As far as US bases in Syria were concerned, the senior diplomat emphasized that "the presence of any foreign military bases is unacceptable for the Syrian government. This is aggression and occupation, and our future actions will be taken on the basis of these definitions." Earlier on Monday, Damascus condemned the US-led coalition's creation of a US-trained border force in Syrian Kurdish-administered areas of Syria on the border with Turkey. Turkish President Recep Tayyip Erdogan called the force a "terrorist army." 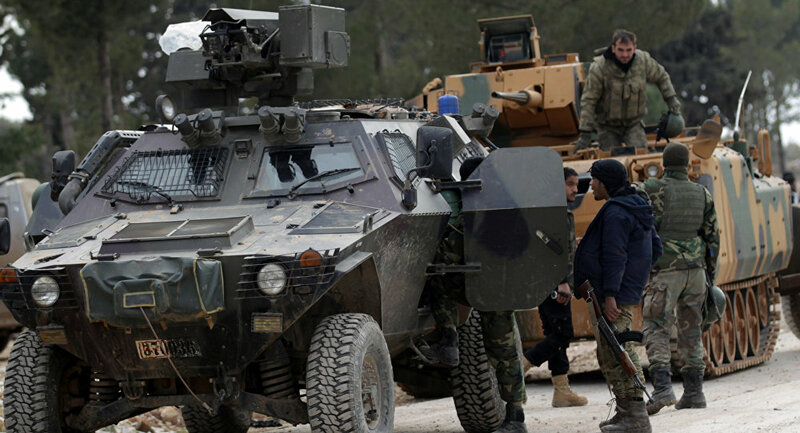 Earlier, Ankara announced that it plans to carry out a military operation in the northwestern Syrian regions of Manbij and Afrin, presently controlled by Kurdish militia. Asked about Damascus's relationship with the Syrian Kurds, Mekdad said that Syria was "a single nation which has taken shape over thousands of years of life together." Unfortunately, he noted, "the United States is investing in the Syrian Democratic Forces," a Kurdish-majority alliance of militias in Syria's northeast. "We believe that it is those Kurds who act in the interests of the US who open the door to the Turkish forces. We can declare that those who oppose the homeland and its interests become accessories to the enemies of Syria and the Syrian people," the diplomat stressed. "The majority of Kurds are patriots of Syria. However, there are those who take money from other governments, and of course, we cannot call them Syrians, nor patriots. All internal issues must be resolved ourselves, and not by entering into an alliance with the United States," Mekdad added. In fact, the official suggested, it would be better for the Syrian Democratic Forces to join the ranks of the Syrian Army. Asked to comment on the UN's hesitation regarding participation in the upcoming Congress of Syrian National Dialogue in Sochi, Russia, Mekdad said it was disappointing, but not entirely unexpected. "This position did not come to us as a surprise, because [UN Envoy to Syria Staffan] de Mistura has not been very keen on resolving the Syrian crisis," the diplomat lamented. "I think that the vacillations by the special UN representative regarding participation in the Sochi Congress is an indication of his irresponsibility, in contradiction to the duties of his post. The international community should hold him accountable for this." The Sochi Congress, consisting of about 1,500 delegates of various political forces inside Syria, is expected to be held January 29-30. According to Mekdad, Damascus hopes that the Congress becomes "the first step for the return of security and stability throughout all of Syria." 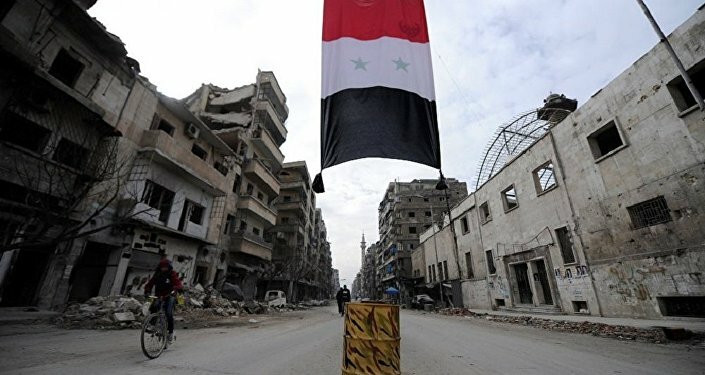 As for the Geneva format, the deputy foreign minister noted that although Damascus continues to participate in the process, there is a sense that "some countries are trying to get by political means what they could not achieve by weapons and military operations." "The Syrian government will not accept any scenario opposed by the Syrian people; this was the case even during the most difficult periods of the war," Mekdad stressed. Ultimately, according to the official, "the fight against terrorism in Syria continues. The turning point in this fight was the victory over Nusra Front, Daesh [ISIS] and similar groups in Aleppo. Since that time, the Syrian Army has been building on its successes in the anti-terrorist war." Syria has been engulfed in a highly destructive civil and foreign-backed conflict since 2011, with government forces fighting numerous terrorist groups and so-called 'moderate opposition' factions. Last month, Damascus and Moscow announced complete victory over Daesh in the country, and outlined plans for a peace settlement in the rest of the country. With its two year anti-terrorist mission complete, Russia has withdrawn the majority of its forces from the Middle Eastern country. However, the US continues to operate illegally on Syrian territory, including in Kurdish areas in the northeast and a small enclave in the country's south near the Iraqi border. Damascus and Moscow have accused US forces of seeking to create a new militant force composed of ex-jihadists to continue to destabilize the country.